The biggest problem with Gareth Edwards’ ROGUE ONE: A STAR WARS Story is that it’s two movies. For the bulk of it’s time it’s a war movie, and a not very good one. The characters are characters–for the most part–only in the sense that they have names and are played by actors. It never once invests in the development necessary to make make our heroes anything approaching empathetic, never mind sympathetic–it goes without having saying that the villains, particularly Director Krennic (Ben Mendelsohn) fare significantly better though I suspect few people go to a Star Wars movie exclusively for the villains. And that’s to be expected, though more is required of the heroes; we need to not only sympathize with their plight, but have to actively want them to achieve their goal. And that doesn’t happen in Rogue One and seeing that it’s a prequel of sorts to Star Wars: A New Hope, you know that they succeed in stealing the plans for the Death Star. It’s only how that manages to come about that matters. And the how is what the brunt of what the movie gets wrong. Which reminds me, why was Gareth Edwards hired to direct? As you could probably tell from Monsters, as well as Godzilla, he doesn’t exactly excel in developing human relationships on screen, which is what Rogue One needed. I don’t care about virtually everyone dying at the end, though what I do care about is not caring about everyone dying at the end. And the movie also–in a very curious fashion–undermines a small but important sequence from The Empire Strikes Back (which I go more in detail about in my video review). As much criticism as the three George Lucas-directed sequels received–deservedly so for the most part–at least they felt like Star Wars movies (not very good Star Wars movies, but Star Wars movies nonetheless). Rogue One: A Star Wars Story? Not so much. 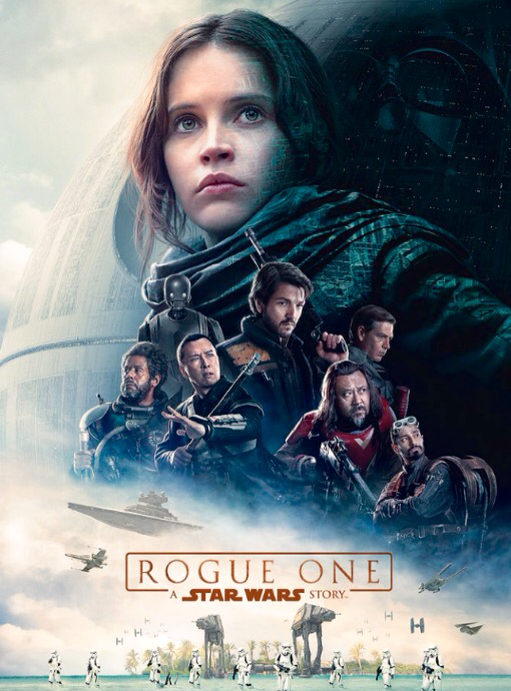 Posted in Movies, review.Tagged Ben Mendelsohn, George Lucas, Godzilla, Monsters, Rebel Alliance, Star Wars: A New Hope, The Empire Strikes Back.